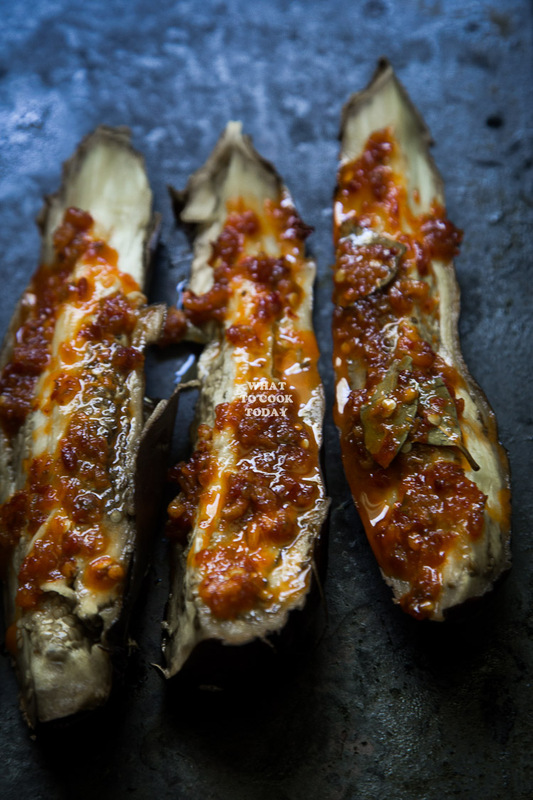 Roasted eggplants are smothered in umami spicy sambal. 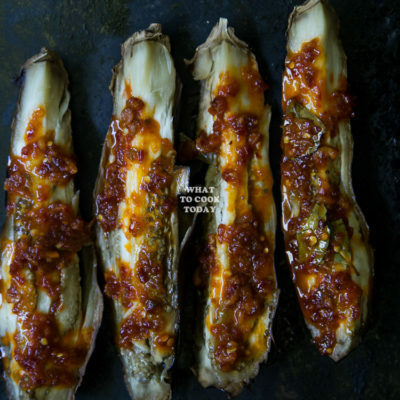 Just make sure you have plenty of rice when you make this sambal terong bakar. I’m guilty of not cooking eggplants enough. 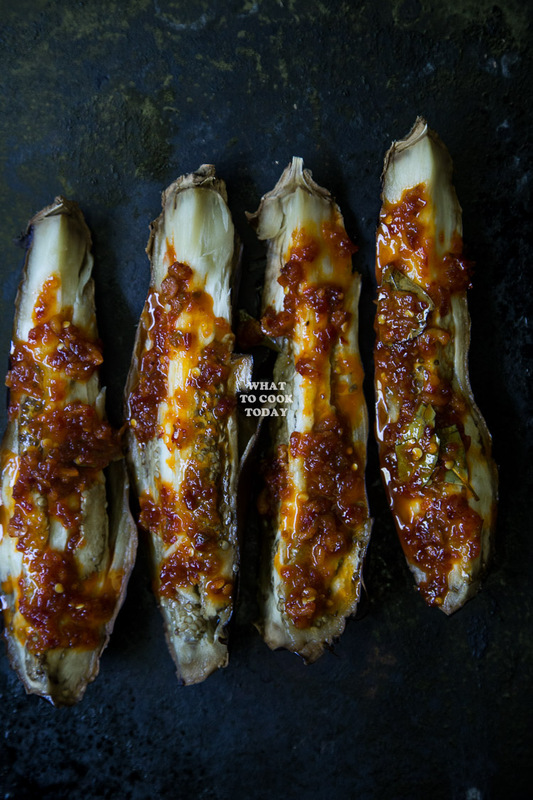 I love eggplants and my recent cravings for anything sambal landed us on this sambal terong bakar. 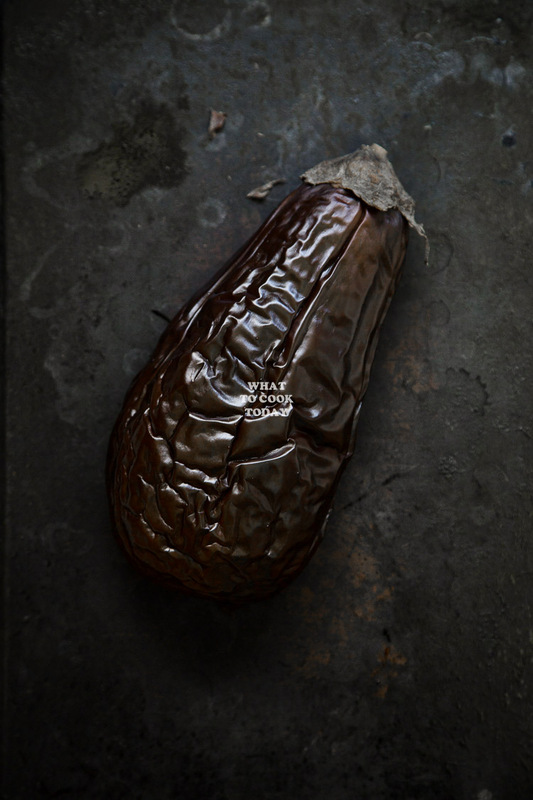 Terong/Terung is eggplant in Indonesian language. Sambal is a super popular condiment in Indonesia and usually goes with pretty much anything. The varieties of sambal itself are countless. This is one of my mom’s favorite dish. My mom used to deep-fry the eggplants. Eggplants are like sponges. They absorb everything! 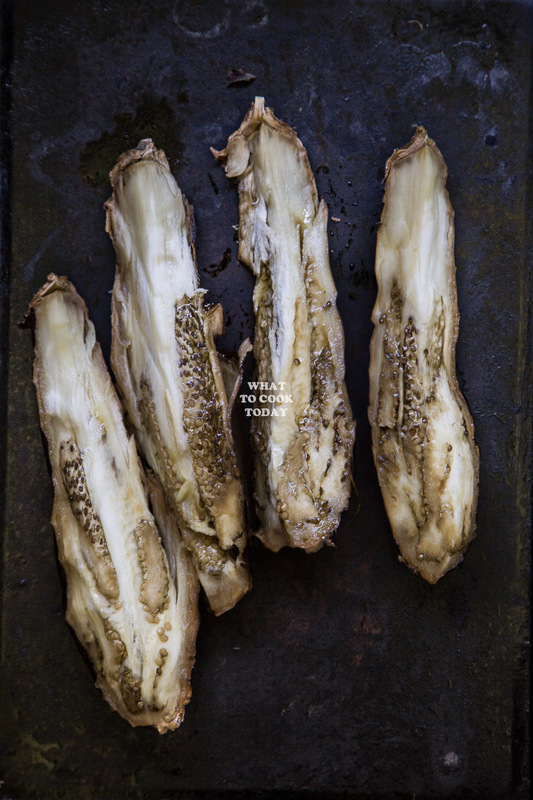 So the fried eggplants are often very greasy. I used to steam them but I find that roasting them is actually gives better result. 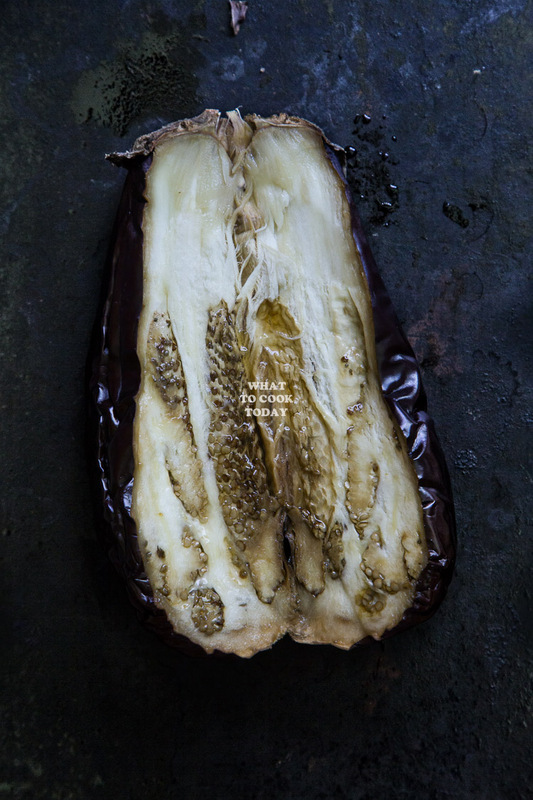 The inside are mushy and no longer spongey and it’s such an easy way of cooking eggplants. No wrapping and poking AT ALL too ! Nowadays I like to use store-bought sambal oelek as a base of my sambal. It’s a shortcut for me and the husband seems to be digging it too. 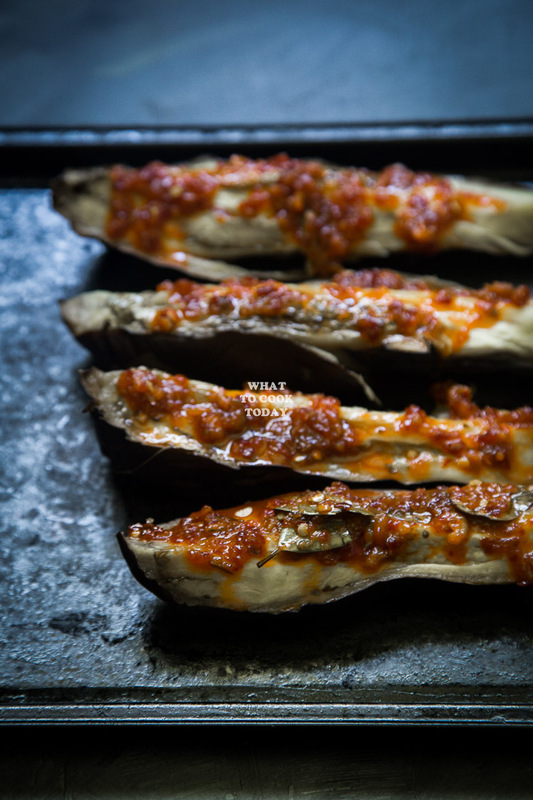 In reality, when I serve this, the eggplants are covered with sambal. For photography purpose though, I didn’t because it will just look like a huge blob of red on the photos. I want to be able to still see the eggplants. So I just carefully spoon the sambal over the eggplants.